I've been to Korea for like 4 times in just 2 years and every time I'm there I never get bored. I just love the country especially the big cities. I thought instead of sharing my travel itinerary, I'd share things by the places I went. So I'm gonna start with Bukchon Hanok Village. I've seen and read about this place being a recommended visit when I'm in Seoul. However, only the 4th time I went that I finally get to go there. While my mum was working at a convention at COEX, I set out on my own in search of the village. 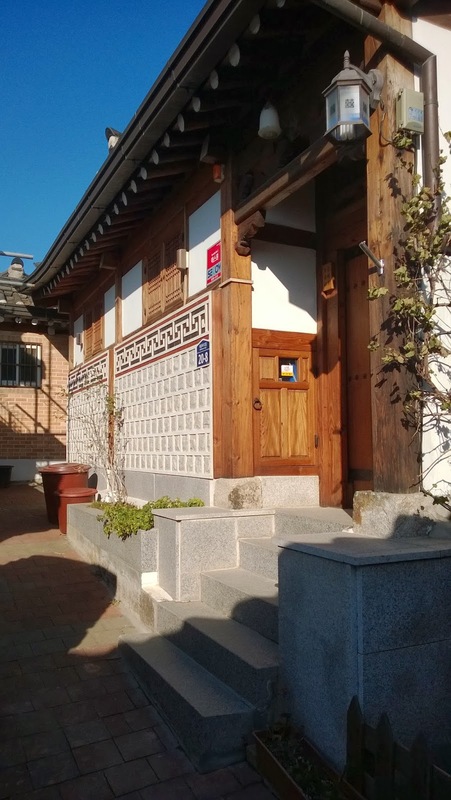 Surrounded by Gyeongbokgung Palace, Changdeokgung Palace and Jongmyo Shrine, Bukchon Hanok Village is home to hundreds of traditional houses called 'hanok' that date back to the Joseon Dynasty. 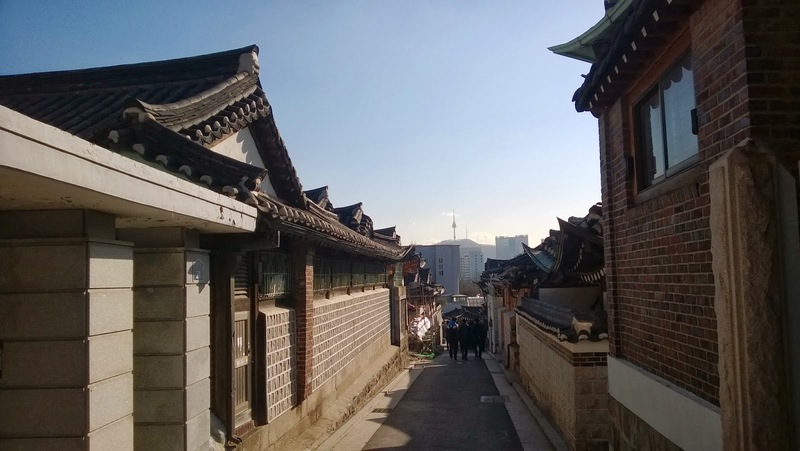 The name, 'Bukchon,' which literally translates to 'northern village,' came about as the neighborhoods that the village covers lie to the north of the two significant Seoul landmarks, Cheonggyecheon Stream and Jongno. 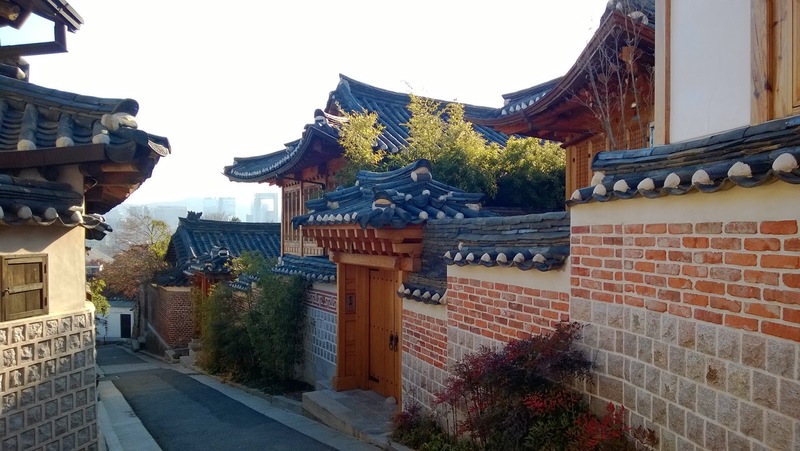 Today, many of these hanoks operate as cultural centers, guesthouses, restaurants and tea houses, providing an opportunity to experience, learn and immerse in Korean traditional culture. Because of where I originated, which was COEX (Samseong station), it took a while to get there. The nearest subway station would be Anguk Station on Line 3. Take exit 2 leading straight to the main road. 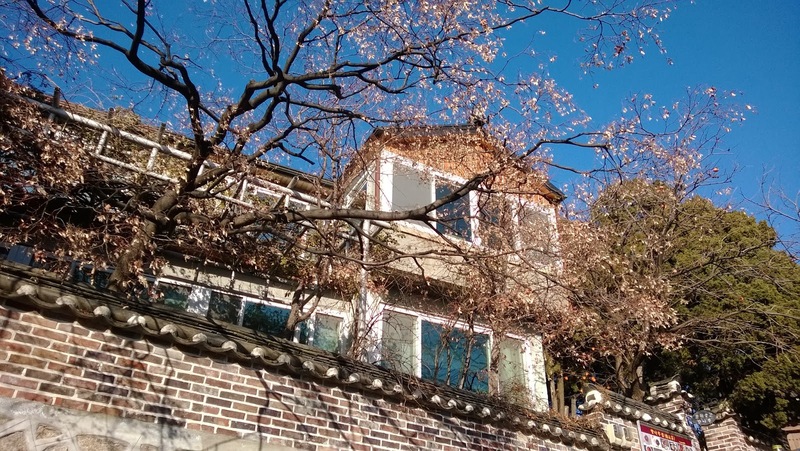 From here as you walk by the right side of the road, you should see a Bukchon Hanok Village information center that shows a map to where you can go around the neighborhood. It's divided into the right and left sides of the main road. Not knowing which one was the more famous pathway that I usually see in TV shows, Ijust started with the right side. I just walked along any road or alley ways that has a path or where I can see people walking around. The right side had a few beautiful houses but they weren't really prominent. 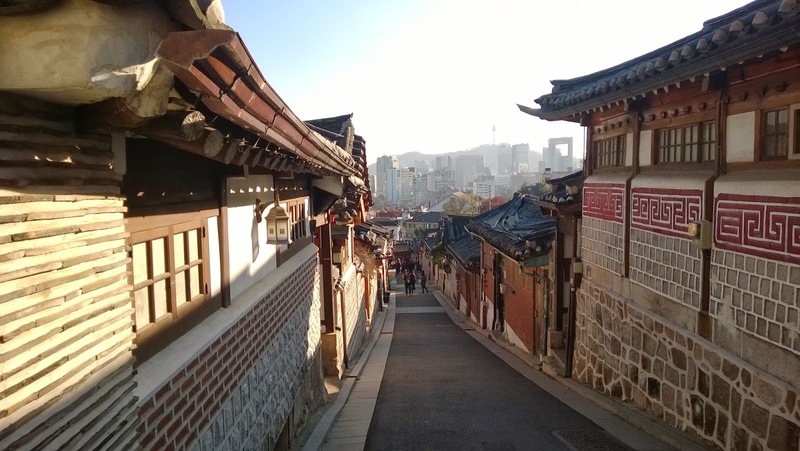 I thought I had already stumbled upon the infamous pathway because I could see it going downhill and you can see Seoul Tower from the top but then there were not much people there. I thought maybe it wasn't a popular time for visit. Another standout location on the right side would probably the school where Winter Sonata was shot. I think I saw the school in like the first scene of the drama. Then I just walked all the way back to the main road to try to see what's on the other side. Yes, the infamous pathway is on the left side. 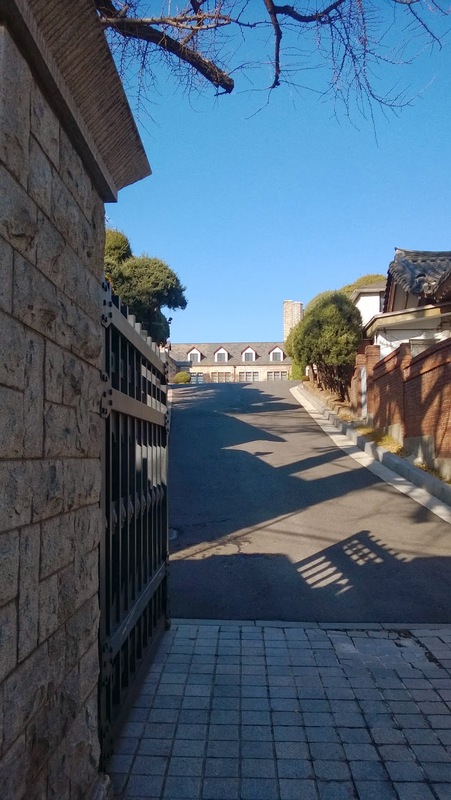 I followed the path to the observatory which actually lead me to climbing steep hills and ventured way deeper into the neighbourhood. On the way back that I stumbled upon the infamous pathway. Now this looked much more right as there were tons of people. There was also an Asian craft museum along the path going down. 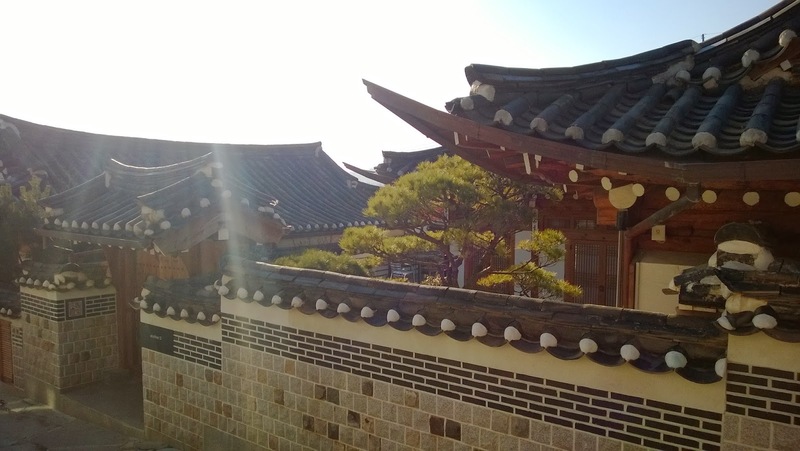 Nothing special I would say except you get to go inside a hanok. Going down you will go back to the main road. This was a design office. The people working here must be stress-free. Look at the environment! Althought it seems like its nothing much but I think I spent like 2 hours walking around the neighborhood. Just admiring the beautiful houses and the serenity it seems to bring being around there.